Dr Devendra Save is attached to hospitals such as Bhaktivedanta and Karuna Hospital.Dr. Devendra Save is a Psychiatrist in Powai, Mumbai and has an experience of 16 years in this field. Dr. Devendra Save practices at Mumbai Psychiatry Clinic in Powai, Mumbai and Mumbai Psychiatry Clinic in Dahisar East, Mumbai. He completed MBBS from Grant Medical College and Sir JJ Hospital, Mumbai in 1994 and MD – Psychiatry from Grant Medical College and Sir JJ Hospital, Mumbai in 1998. Dr. Devendra Save is based mainly in Dahisar and Borivali. he visits Mumbai Psychiatry clinics, Powai. Dr Niraj Ravani has experience with running a Psychiatry Department and teaching undergraduate students. Dr. Niraj Ravani is a Neuropsychiatrist in Navi Mumbai and has an experience of 16 years. He practices at Centre for Stress Management and Psychological Health in Vashi, Navi Mumbai. 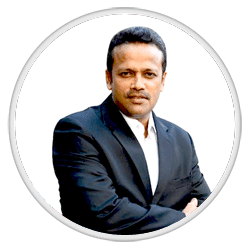 He completed his MBBS from Dr. D Y Patil Medical College, Nerul, Navi Mumbai in 1996.He completed MD in Psychological Medicine from Grant Medical College and JJ Group of Hospitals Mumbai in 2000. Dr Prasad Shetty has been a Senior Medical Advisor to Pfizer and CNS Neuroscience for the last 6 years.Dr. Prasad Shambu Shetty is a psychiatrist in Mulund West, Mumbai and has an experience of 22 years in this field. Dr. Prasad Shambu Shetty practices at Mumbai psychiatry clinic in Mulund West, Mumbai, stress management clinic in Mulund West, Mumbai and Mumbai psychiatry clinic in Dahisar East, Mumbai. He completed MBBS from grant medical college, JJ Group of Hospitals Mumbai in 1995, diploma in psychological medicine from G. S. Medical College KEM Hospital in 1997 and research officer from G. S. Medical college KEM hospital in 1998. He is a member of Indian Association of Private Psychiatry, Indian Psychiatric Society and Indian Medical Association (IMA). 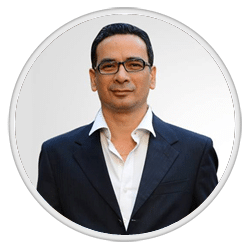 Dr. Chinmay Kulkarni is a consultant psychiatrist and has an worked in Brihan Mumbai Corporation’s Rajawadi Hospital as well as in private de-addiction and rehabilitation centers.Dr. 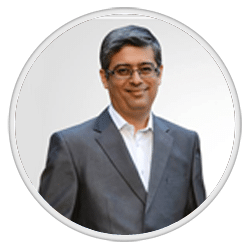 Chinmay Kulkarni is a psychiatrist who believes in rational and realistic ways of therapy in treating patients with emotional and psychological problems. His areas of special interest are depression, anxiety, schizophrenia, addictions. He believes in empathic listening and reflective interviewing. According to him, counselling and behaviour therapy are important aspects of mental well being. 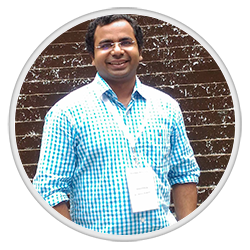 He has a keen interest in newer technologies and is interested in using technology to help people with psychiatric disorders. He has conducted mental health awareness campaigns using digital platform. He also works towards removing stigma attached to mental illnesses. He believes that in today’s fast-changing, stressful world, it has become difficult to maintain the mental health. He thinks that in such a situation, intelligence is to take professional help than to suffer alone in silence. 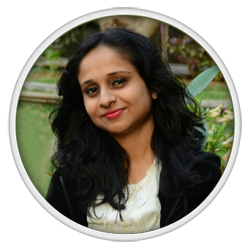 Dr. Rituparna Ghosh, is a practicing Clinical and Neuropsychologist with a professional experience for more than 12 years all over Kolkata and now in Mumbai. She has done her M.Sc. and Ph.D. in Clinical Psychology from Department of Applied Psychology, University of Calcutta and is a National Scholarship holder. She holds certificates in Play and Cognitive Behavioural Therapy and is a trained Trauma Therapist under Dr. Baltrusch (of Germany). She is also a REBT practitioner with certificate from Albert Ellis Institute India. 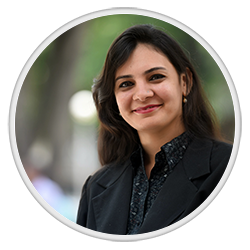 She has presented research papers in International conferences all over India. She has been working as clinical psychologist in renowned health institutes, hospitals and rehabilitation centers, as school psychologist in eminent schools, she has been associated with NGO’s in various sectors in promoting mental health and has been a soft skills trainer in corporate and private sectors as well. Her area of interest is psychological testing – diagnosis, therapy and counselling. Anvita holds a Master’s degree in Clinical Psychology from Bangor University (U.K.). Prior to that, she did her Bachelor’s in Psychology from Jai Hind College in Mumbai. She has been working in the field of Psychology for the past 2 years, helping improve the lives of those afflicted with Dementia. Her work involved therapy with elderly individuals suffering from conditions such as Alzheimer’s Disease, thereby enhancing the quality of their life. She has also enriched her experience by working with child and adult clients at KEM hospital, Mumbai. She is now honing her skills by pursuing an Advanced Post-Graduate Diploma in Counselling Psychology from St. Xavier’s College, Mumbai. She is passionate about helping people achieve their highest potential, no matter what their circumstances are. She has previously worked with Akanksha Foundation, where she taught underprivileged children and is now volunteering her time counselling children at Rosary School, Dockyard. Presently, she is a part of Mumbai Psychiatric Clinic imparting her skills in counselling children and adults. In her free time, she enjoys travelling, reading, writing, photography and other creative pursuits. 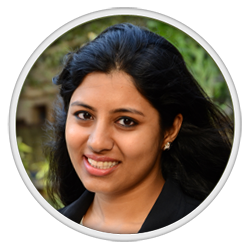 Purvi Jadav holds a Masters in Clinical Psychology from IGNOU and also a Diploma in Nutrition and Health Education. 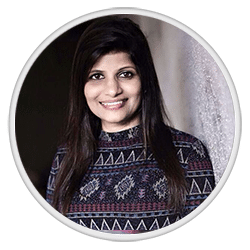 She is also a certified Emotional Quotient Trainer and a Childcare therapist.She has also worked with couples as a marriage counsellor and also with parents as a parental counsellor. She also specializes in positive psychology and works with patients having depression, suicidal tendencies, and post-traumatic stress disorder. She has worked extensively with children and helped in resolving their problems pertaining to behaviour, health and social adjustment applying her experience as an EQ trainer and her knowledge of play therapy. Sneha Rao Parmar is a counseling psychologist and remedial educator with 10 years of experience. Holds a Masters degree from Mumbai University, and has also completed Certification in “Learning Disabilities” course from Arya Vidya Mandir. Has undergone training in “REBT for Marital therapy” from In Vivo Educational Services in June 2012. Area of expertise includes working with children and adolescents with special needs, developmental delays, behavioural problems and learning issues. Intensively working with students, providing educational counseling, focusing on teaching appropriate study strategies and time management. Couple, Family counseling and Marital therapy is also an area of expertise. Adult Counseling that focuses on stress management and anxiety issues are also dealt with. 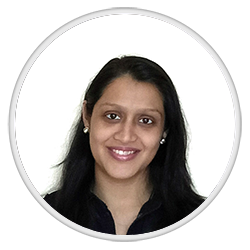 Nivedita Nayak is a Clinical Psychologist and psychotherapist. She holds Masters Degree in Clinical Psychology. Apart from that, she has done her Post Graduate Diploma in School Counselling from SNDT University. To sharpen her skills she has done a certificate course in Psychotherapy from National Academy and also has completed training in Rational Emotive Behavior Therapy Basic & Advance from Albert Ellis Institute India. She volunteered at Samaritan Mumbai-Mental Health Help Line for 3 years. Her area of expertise are psychological testings and psychotherapy. Her interests lie in working with the patients with depression and anxiety disorders.